US soldiers (above) training for combat operations. To respond to possible “Russian moves” against its Member States in Eastern Europe, NATO is organizing a new Rapid Reaction Force that will include US units. Political leaders of all NATO Member States must think deeply about situations that the use of the new force may create. According to a September 7, 2014 Reuters article entitled, “NATO’s New Missions Won’t Solve Ukraine, Iraq Crises”, NATO leaders emerged from a summit in Wales with a plan to protect eastern members from a resurgent Russia, a pledge to reverse the decline in their defense spending, and a Western coalition to combat Islamic militants in Iraq. Ways were sought to use NATO’s military power to avert additional moves by Russian Federation President Vladimir Putin against vulnerable Eastern European Member States. Senior alliance officials sought to reassure those countries that there are teeth behind the pledge (contained in Article 5 of the Washington Treaty, NATO’s founding document) that an attack on one Member State will be considered an attack on all. 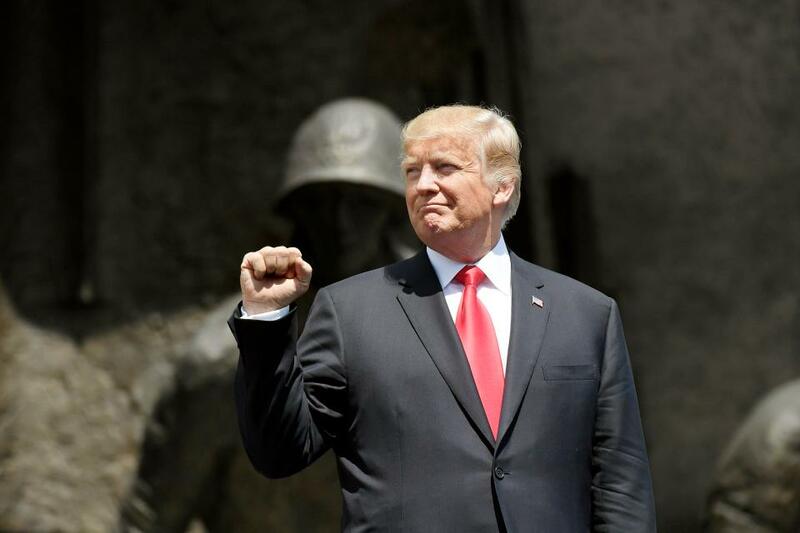 A key decision made at the summit was to create a new NATO Rapid Reaction Force of some 5,000 troops assembled from existing national high-readiness forces based at home. It would eventually be deployable within 48 hours’ notice, instead of up to several weeks now, to deter an aggressor in a crisis. It will be supported with logistics and equipment pre-positioned in Eastern European countries closer to Russia. The new force may also be used for expeditionary missions outside the NATO Treaty area. (Such operations would be subject to a unanimous political decision of the 28-nation NATO Council and to national caveats limiting what troops can do abroad.) A “Readiness Action Plan” was also adopted to shield former Soviet bloc Central and Eastern European countries that joined the alliance in the last 15 years by modernizing military infrastructure, further pre-positioning equipment and supplies, rotating air patrols and holding regular joint exercises on their soil. Before the NATO Summit, seven NATO allies planned to create a new rapid reaction force of at least 10,000 soldiers as part of plans to boost NATO defenses in response to Russia’s intervention in Ukraine. The aim was to create a division sized joint expeditionary force for rapid deployment and regular exercises. United Kingdom Prime Minister David Cameron was expected to announce the creation of the force at the NATO Summit. The United Kingdom-led force would include an air and naval units as well as ground troops. Countries involved include Denmark, Latvia, Estonia, Norway, and the Netherlands—Canada also expressed an interest in taking part. Political leaders of these countries apparently became uncertain and impatient regarding US efforts to mitigate the threat of further Russian advances westward. At the summit, the force’s size was reduced to a level short of what Poland, Estonia, Latvia and Lithuania wanted. Yet, after US President Barack Obama spoke in Estonia on the eve of the summit, underlining the US commitment to defend the Baltic States, they were accepting of the change. Yet, the September 7th Reuters article notes that despite ringing declarations of resolve, the US-led alliance cannot fix the conflict between Ukraine and Russian-backed separatists. Questions remain about the allies’ plan to create a Rapid Reaction Force and their aim of raising defense budgets to 2 percent of national output over a decade. Both are subject to political caveats. Most analysts say the main security problems on NATO’s eastern flank lie less in a Russian military threat to its allies than instability in non-aligned former Soviet republics between NATO and Russia. Coping with a Russian military push there, may require more than 5,000 NATO troops. NATO appears to be in a situation similar to what it faced during the Cold War. Yet, continuous draw downs of Member State forces since that time has left it without robust military capabilities and harmed its ability to transmit, by actions, a message that would deter Russia from further advances. Now that Putin and Russia are on the move, it is not feasible for NATO to create an effective defense through a Rapid Reaction Force, the prepositioning of materials, and exercises that could reestablish a deterrent from the new Rapid Reaction Force now as if before the draw downs never occurred. Nunc pro tunc! (Now for then!) The United Kingdom and France bolstered Europe’s defense with their own nuclear arsenals. As in the past, the mere consideration of the use of force against Russia brings the world closer to World War III. A diplomatic solution to the current crisis in Europe may exist. It would require NATO Member States, despite all that has transpired to date, to engage in a new process of communicating with Russia through diplomacy, not with sanctions and new plans to use force. As US and NATO officials have tried to quickly respond to the evolving crisis in Ukraine, they have noted an alarming pattern of behavior by Putin. While Putin emerged as the dominant power in Moscow, Russia was hardly realistically judged by the West. Indeed, wishful thinking of NATO Member States’ political leaders of a post-Cold War compliant Russia ruled. At the end of the NATO Summit in 1990, there was even hope of establishing a strategic partnership between NATO and Russia. Caution was not exercised. A reversal of such good fortune was viewed as unlikely. With a sense of near certitude over Russian actions and intentions, they made staggering cuts in their forces and NATO Member States failed to meet defense spending goals. Political leaders of NATO Member States must accept that their assumptions about Russia were wrong. Any plans of working with Russia were scrubbed in May 2014. (The NATO-Russia Council created in 2002 has not been formally shut-down). However, much work will be required for NATO to rejuvenate itself. Over the years, several NATO Member States have been nonchalant about failing to meet their defense spending pledges. US outlays on security are three times that of the other 27 partners combined, even though the US gross domestic product (GDP) is smaller than their total GDP, a longstanding US concern about NATO defense spending. This uneven burden threatens NATO’s integrity, cohesion and capability—and ultimately, both European and transatlantic security. Only four of the NATO partners met their agreed target of spending 2 percent of GDP on defense in 2013—Estonia, Greece, the United Kingdom and the US. France, Turkey, and Greece fell just shy of the 2 percent goal, while other major countries such as Germany, Italy and the Netherlands have fallen well behind. The failure of European leaders to invest money and capabilities into their armed forces has left them unable to influence outcomes on issues such as Ukraine. 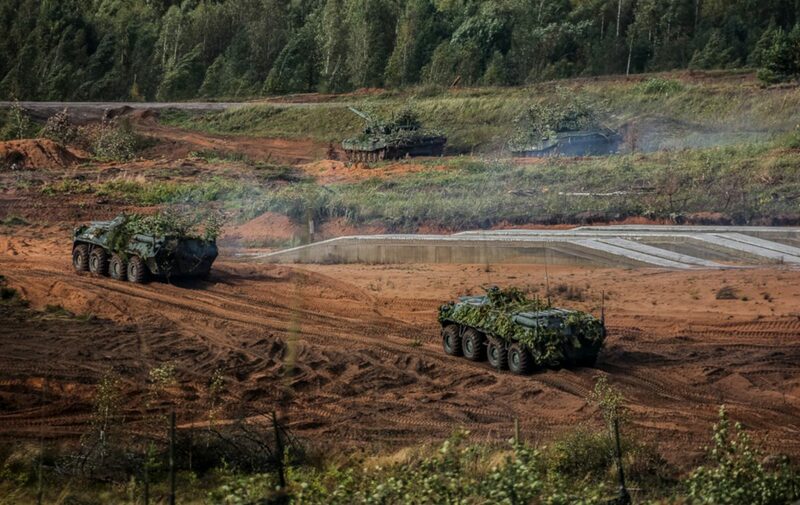 Western military theorists of the past hardly could have imagined that against a potentially aggressive Russian force, sufficient highly-mobile armored and mechanized NATO forces would be not be based in Europe to meet it. While 5,000 NATO troops in a Rapid Reaction Force may appear to political leaders at the NATO Summit to be sufficient to deter or combat Russian forces which could presumably be well reinforced from within Russia. Further, halting any additional US troop reductions in Europe and rejuvenating “Reforger Exercise” (Return of Forces to Germany), that rehearsed the reinforcement of forces in Europe through the deployment of large units from the US, may send a signal that the West is becoming more assertive regarding Russia’s actions in Ukraine. It may deter Russia from possible action against the 15 other former Soviet Republics elsewhere along its border, particularly those that are now NATO Members States. Yet, sending signals to Russia in this way may do little to improve the situation. So far, Russia has been most effective at sending signals to other former Soviet republics contemplating stronger military or economic ties to the West. In addition to acting in Georgia and Ukraine, Russia has created fears that it may stir-up “frozen conflicts” in Moldova or between Armenia and Azerbaijan to stop those countries from moving closer to the West. It would be counter-intuitive to believe the General Staff of the Armed Forces of the Russian Federation or senior officers of security organizations as the Main Intelligence Directorate, considering how to cope with the NATO Rapid Reaction Force, would in an aggressive act, use the same tactics seen in South Ossetia and Abkhazia in Georgia, and in Crimea, Donetsk, and Luhansk in Ukraine. When NATO prepared to offer a path to membership to Georgia in 2008, Russia sent troops to reinforce peacekeepers in the Russian-speaking, breakaway Georgian regions of South Ossetia and Abkhazia. After a five-day conflict with outmatched Georgian forces supported by the West, Russia recognized the independence of the breakaway regions, where Russian troops remain. Georgia’s potential membership disappeared from the NATO agenda, Late 2013, Ukrainian President Viktor Yanukovych decided to forgo an Accession Agreement with the EU and join Putin’s Eurasian Union. After months of violent demonstrations by Ukrainian citizens, Yanukovych fled Ukraine. 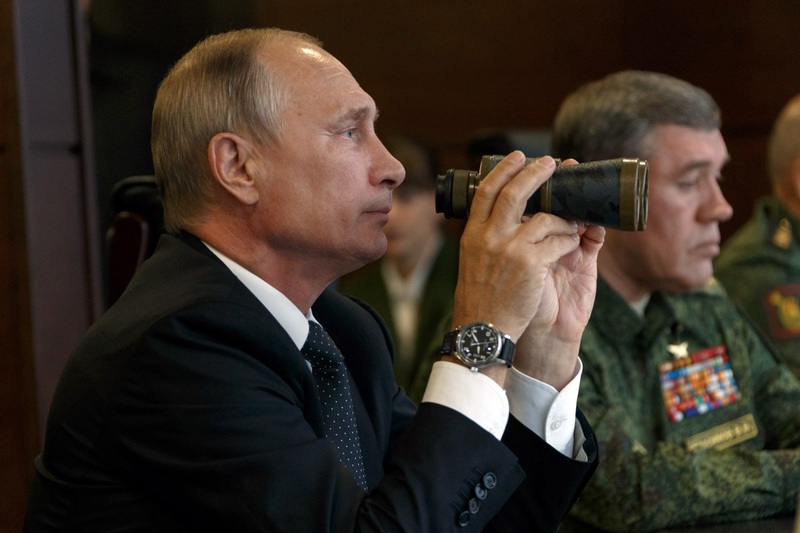 Putin intervened militarily, sending in “green men” to take control of key points in Crimea, leading to its annexation. 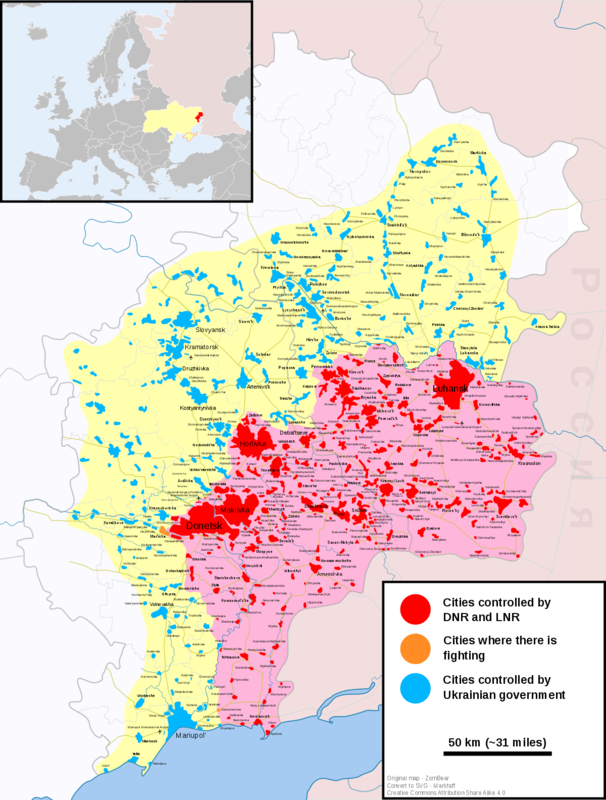 Reports from Western news media sources indicate Russian forces similarly infiltrated the Donetsk and Luhansk provinces of eastern Ukraine to join rebel forces of “New Russia”. Russia may rush in with troops massed along the border of a neighboring state with heavy armored and mechanized units, highly mobile infantry, combat service units, and combat service support units. However, as a matter of speed and surprise, Russia may rapidly deploy forces from based well inside Russia to key points in a neighboring state. In the best case scenario for NATO, the Rapid Reaction Force, in response to intelligence reports of a Russian threat, would be deployed to a NATO Member State in advance of any significant movement of Russian forces into it. The NATO Rapid Reaction Force would be able to set up its defenses, make use of prepositioned systems and ordinance, and air power would be made available to support dynamic defensive actions and negate opportunities for Russian forces to overwhelm units. Russian political leaders would need to choose whether to clash with the NATO Rapid Reaction Force or retreat unable to secure its objectives without displacing a multinational NATO troops. Perhaps the Russian decision would rest on how soon and how large would reinforcements arrive to support the Rapid Reaction Force before it could inflict catastrophic losses upon it. In 1999, Russia found itself in this very situation without prepositioned weapons and ordinance in Kosovo in the aftermath of NATO’s Operation Allied Force to expel Yugoslav Army units and irregular forces from the Serbian province. Then Yugoslav President Slobodan Milosevic was viewed as a partner of Russia. As NATO ground forces under the command of then British Army Lieutenant General Sir Michael Jackson reached Pristina, Russian airborne forces that were deployed in northeastern Bosnia as part of the Stabilization Force, rushed ahead to Pristina International Airport to secure the airfield on which several Russian fighters had landed. Jackson did not try to displace the force as ordered by his superior US Army General Wesley Clark, the Supreme Allied Commander in Europe (NATO’s commanding general). Jackson famously said, “I’m not going to start the Third World War for you.” Jackson established a rapport with the Russian commanders. It was revealed that Russia, blocked from participating in NATO’s peacekeeping operations in Kosovo, decided to create a role for itself. Unable to move or be reinforced, the Russia relented, but it was agreed Russian troops could serve independently as peacekeepers. If NATO Rapid Reaction Force cannot get to the Member State first, Russian forces would likely try to displace, destroy any local opposition with a superior force before NATO arrived, and quickly secure key points on the territory of a neighboring state. The NATO Rapid Reaction Force must clash with the Russian force if the objective is to displace it from key points or to expel it. 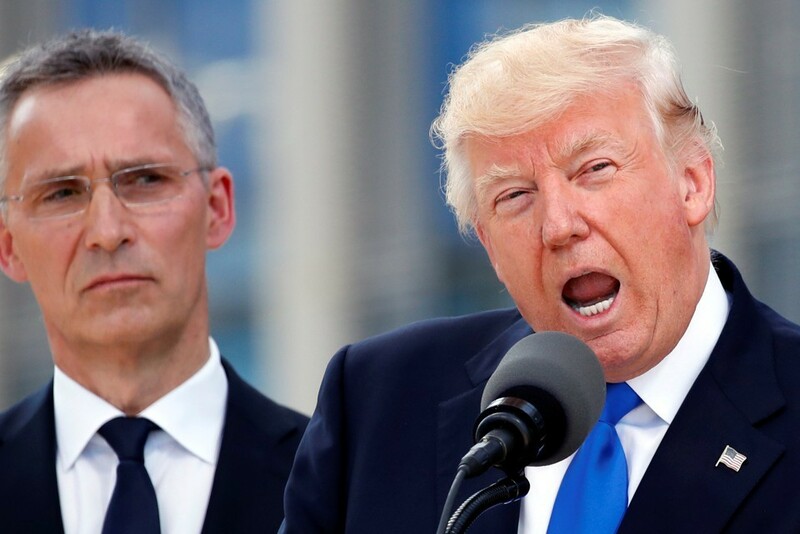 Before NATO sent the force in, political leaders of Member States would need to decide in advance whether the Rapid Reaction Force would fire the shot to likely start World War III. 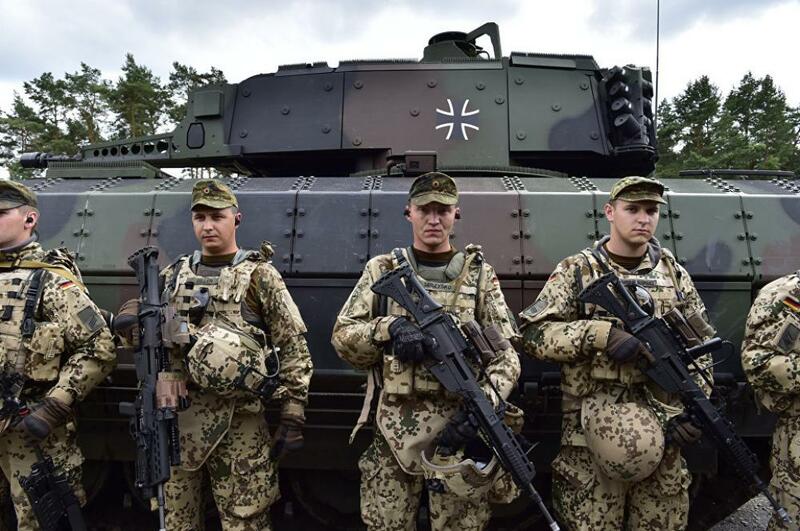 Sending in the NATO Rapid Reaction Force to link up with local forces heavily engaged with Russian forces would guarantee NATO and Russian forces would clash. To get in country, the NATO Rapid Reaction Force would need to hope Russian forces, in preparation for their deployment to a neighboring state, would not destroy air bases and other facilities from which fighter support and transports could land in reasonable proximity to their targets. Russia would be able to provide air cover and close air support for Russian troops. Russia would surely have air assets available to bring up reserve units and logistical support. If Putin ordered a Russian force, overwhelming in size and combat power, to quickly engage the NATO Rapid Reaction Force on the ground, it might be futile for the NATO Rapid Reaction Force to attempt to handle it, even if the absolute maximum amount of pre-positioned weapon systems and ordinance were made available. The Rapid Reaction Force would at best be able to courageously hold on until a stronger NATO conventional force arrived to reinforce it and strike back and expel Russia from the country under attack. Again, Russia would most likely create a non-permissive environment for reinforcement. To the extent air power might be used against the Russian force, Russia may also use powerful conventional weapons to destroy NATO forces and support capabilities in the area of the neighboring state. 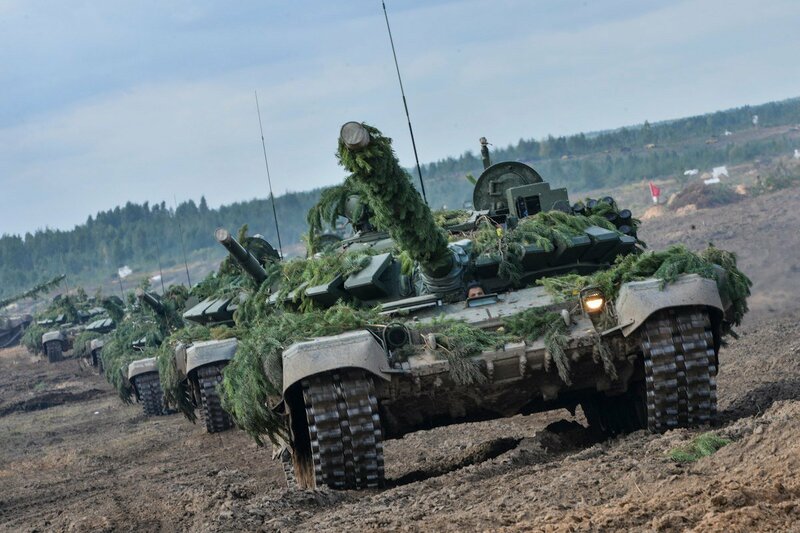 If NATO forces were unable to halt and expel the Russian advance, new options would be needed. It would not be acceptable for the allies to simply retreat. As in the Cold War, the use of tactical nuclear weapons to repel the Russian force might be considered. The Rapid Reaction Force could be publicly declared a trip wire to trigger their use. Europe would once again face the prospect of becoming a nuclear battlefield. The use of strategic weapons in response to Russian aggression could also be threatened. Initially having ruled out military action, the West’s primary means to respond to Putin’s support of pro-Russian separatists in Ukraine and elsewhere has been economic sanctions and political exclusion. 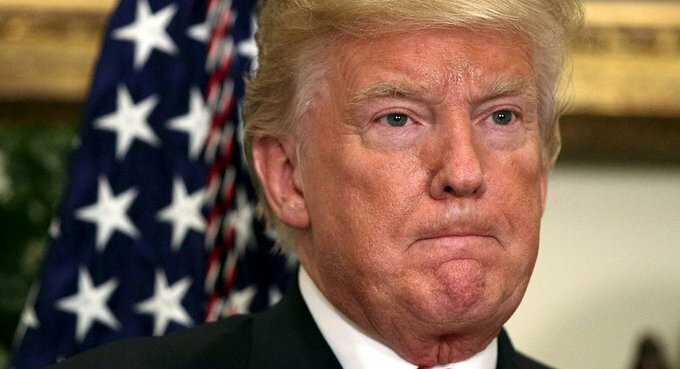 However, despite their dependence on Russian gas and the economic consequences for trade with Russia, along with the US, EU countries have adopted a fourth round of sanctions. Through NATO, Western powers now seek to reassert themselves militarily. While the title “Strongman of Russia” surely fits Putin, he is not a fanatic. He would undoubtedly prefer to establish peace and security in Ukraine and in Russia’s other neighboring states, without further conflict and further economic, political, and military expense. It may still be viable to seek a diplomatic solution to the crisis. One clearheaded option may be to organize a summit meeting between a delegation of leaders from NATO Member States and Putin in Moscow or some other neutral location. Perhaps not all of the leaders from NATO Members States should attend the summit. The goal would not be to overwhelm Putin with numerical superiority, but to transmit NATO concerns and find some solutions. It might be best if a delegation of leaders from senior NATO Member States. Foreign secretaries could attend. However, as a summit meeting, it might be best if the leaders themselves hashed things out alone in a daylong session. They would have a real opportunity to “clear the air” regarding any personal concerns they had at the highest-level and build confidence. A way to work together to satisfy Western and Russian interests may be found. If that is not achieved, at least leaders would remove any ambiguity about where things are headed. For leaders of NATO Member States in particular, decisions would no longer need to be based on an understanding of “where Putin’s thinking is” in the abstract. For those leaders, speaking face to face, leaders would be given a chance to sense the other’s thinking and feelings. Everything the other says or how the other reacts to statements is important to know. Every inflexion, tone, and change in the other’s voice provided some insight as to what was on a leader’s mind. Speaking by telephone, when difficult or contentious issues arise, especially when relations are already uncongenial, is not the best option. Without seeing the other party, the call can become tense. Animus may find its way into the discussion in the form of terse comments. The result would not be a solution, but greater disagreement and frustration. Pride and ego can block the truth, and lead one to reject all evidence of a problem. Political advisers of NATO leaders would explain that a summit with Putin would allow him to show that under his leadership, Russia has returned to the world stage as a global power. The meeting would have been a proud occasion for Putin and the Russian people and that Russia that he was a strong leader who is able to respond effectively to security issues and that he had control over the Ukrainian situation. If the summit were held in Moscow, Putin would likely receive the chance to present his resurgent Russia in the best light possible. Yet, whatever public relations benefit or image boost Putin might gain through a summit would be trumped by the having the leaders reach a satisfactory diplomatic outcome. 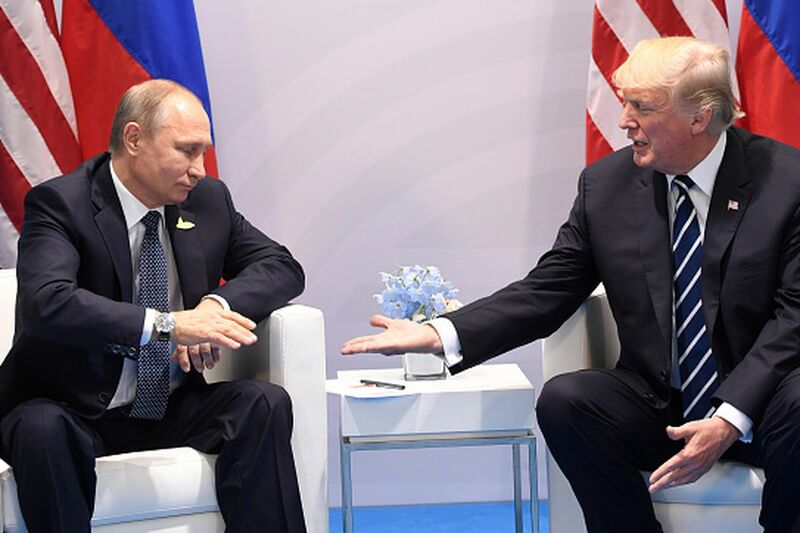 Even during the most troubled times, relations between US and Russian leaders were maintained through a difficult process of summit meetings. 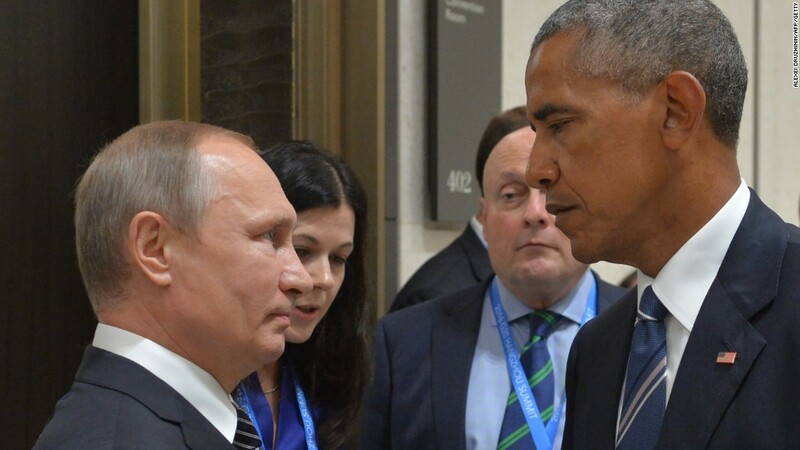 Such Cold War meetings between US presidents and their Russian counterparts may have been distasteful for leaders on either side to undergo. However, leaders understood that maintaining a constructive relationship was not a personal matter; it was their duty. Despite proxy wars and other confrontations and conflicts along the course of the Cold War, the US and the Soviet Union, while possessing the unique and mutual capability to annihilate one another and the world with their nuclear arsenals, did not. With a strong diplomatic action taken now, hopefully the issue of mutual annihilation will not become a major concern all over again.